Commercial metal roofing stands up well to Mother Nature’s elements. Water and air leaks are prevented, along with solid fire and wind resistance through the metal wall panels and sheets. They can stand up to winds as high as 140 mph. Durable and weather resistant properties are the product of a solid metal roof installation. At the end of their lifecycle, metal roofing and its materials are almost completely recyclable, as they are usually made of as much as 35% materials that are able to be recycled. This means they’re eco-friendly while they’re being used through their energy savings and after their life span when they’re disposed of. Even more energy savings will be realized through the use of the reflective cool finish thats applied to the panels after installation, which, by reflecting the sun’s heat, keeps the roof’s temperature lower. It also maximizes your property’s energy performance by being compatible with just about any type of insulation, even thicker choices. Solar panels are another feature that meshes well with a commercial metal roofing system. The risk of installing the panels is minimized because they can be installed directly on top of the metal roof without penetration. Replacing a metal roofing system isn’t always necessary. Since they don’t have to be replaced, by being renovated, there’s less material filling up landfills, benefiting both the environment and the building owner or manager. A low-slope standing seam metal roof can have a life expectancy of 40 years or more. Since they reduce maintenance expenses and utility bills, the success of your buildings design, since a commercial property can last as long as 60 years, is definitely enhanced. So, as you can see, the longevity, durability and sustainability of metal roofs are some of their greatest benefits. It puts any benefits that traditional asphalt shingle roofs may have to shame. As a result, agricultural, industrial, commercial, and even residential properties can reap the benefits of metal roofing systems. Keep Your Drainage System Free of Debris. Your metal roofing system’s edges will get damaged if you don’t keep your drains and gutters clean. You need to clear out any blockage or organic materials on a regular basis by routinely checking your drains and gutters. Don’t clear them yourself – it could be dangerous. Hire an experienced, professional commercial roofing contractor. Keep Tree Branches Clear of Your Roof. Your roof, and potentially other parts of your building, can be seriously damaged by falling or blowing tree branches. Organic materials, twigs and leaves, can leave a lot of moisture on your roof also. 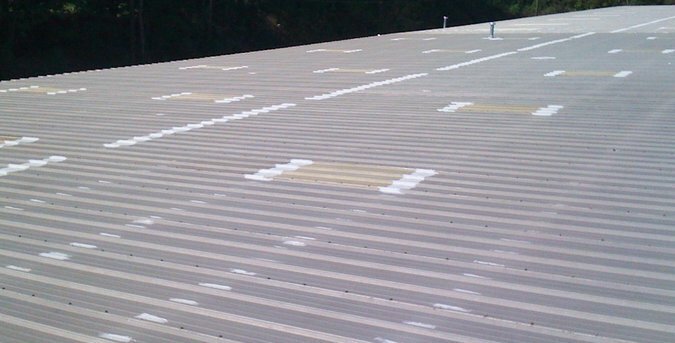 Leaking and corrosion will be the byproduct of this excessive moisture on your metal roof. If you have tree branches that are too close, or hanging over your roof, contact a professional tree trimming company to trim or remove them. Do Routine Inspections. If you suspect any deterioration at all happening on your metal roof, hire a professional metal roofing company to do a thorough inspection so that weather issues don’t deteriorate your roof’s protective materials. If you don’t, you’ll eventually be staring at a much more expensive proposition – replacing your metal roof. The professional you hire will be able to offer solutions and recommendations to address any problems found. Find and Employ an Experienced Commercial Metal Roofing Contractor. Trying to do any repairs yourself on a meta roof can be a dangerous proposition. You don’t want any accidents and you want any repairs to be completed properly. A professional will have the proper gear to complete the inspection safely. Taurus Elite Commercial Roof Systems, 512-332-4422, provides commercial roofing services to Austin, Texas and the surrounding area. 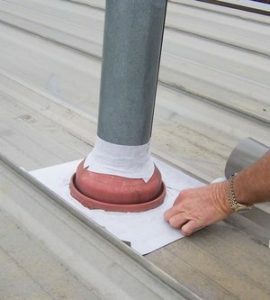 This includes commercial metal roof repair, commercial metal roof restoration, commercial metal roof replacement and commercial metal roof installation. We have been providing professional commercial roofing services to the area for over 20 years. When you need good, honest advice about your metal roofing system, give us a call.